I am having the best of all possible problems with pear ciders: enough cideries are making them now that some are actually making pear ciders I don’t like. Which is quite a feat, let me tell you, given my penchant for perry. 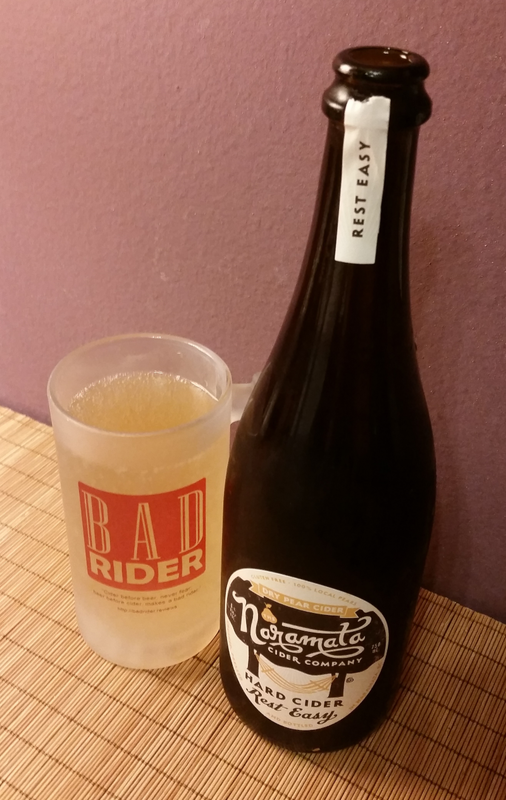 Snowdrift’s Seckel doesn’t fall into this category, but it’s very different from other pear ciders I’ve tried. 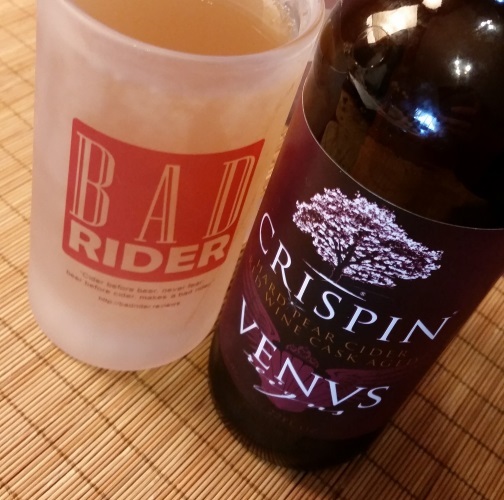 At 8.6% ABV, it’s pretty substantial, and the color is a light amber closer to apple-based ciders than to the paler, more yellow appearance common to fully pear-based ciders. The aroma is minimal — a little bit of yeast and cool spice. The flavor is very — well, very. It has a distinct character. I might have guessed this was a single-varietal perry even without being told. With an ABV so high, it’s no surprise that it’s not particularly sweet even though it comes from a pear that’s known for its sweetness; the flavor is dense and strong, a little acidic. It’s much more like an apple cider than other pear ciders I’ve had, in the sense that it’s lacking the sort of cool, crisp, airy flavor I tend to associate with pear ciders. Snowdrift really needs to update their website to include their latest offerings, but you can check their website for a distribution location near you. Posted in Cider. 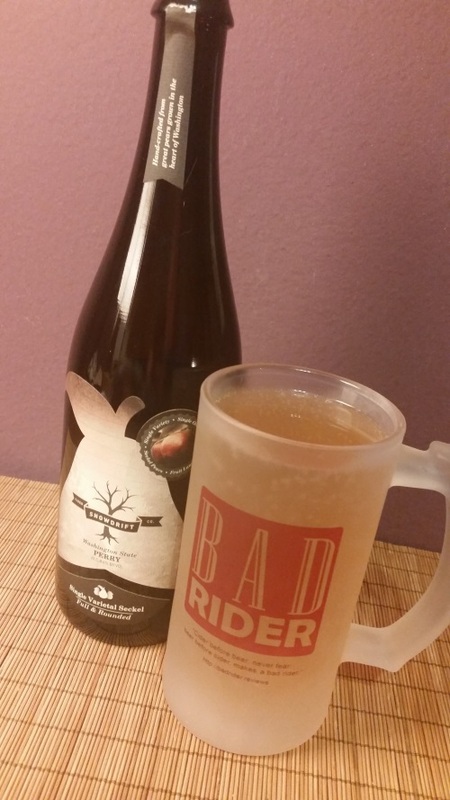 Tagged 750mL, pear ciders, seckel single varietal, snowdrift cider. Remember my peeve about Angry Orchard’s expensive Cider House Collection — that you could do so much better for the price? Crispin is precisely the opposite. It’s taken me this long to review their Lion Belge because every time I get some, I get too wrapped up in enjoying it to fiddle with careful smelling and pausing and sipping and writing. 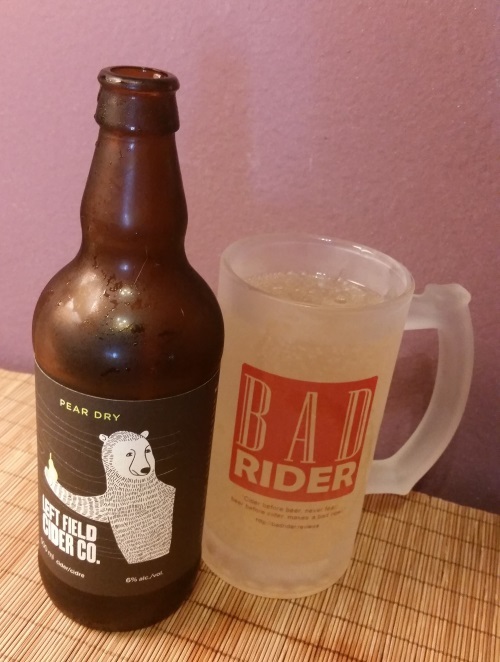 Lion Belge is the kind of pear cider that’s entirely from pear juice, fermented with Belgian Wit yeast and flavored with orange peel and coriander. It comes out of the bottle a lovely, pale yellow, more or less cloudy depending on how much if the sediment is suspended or settled. Don’t worry about being careful to pour it off the lees, Crispin encourages it to be tipped up and swirled around for maximum dispersal. The aroma is light — a little of the orange, a little of the yeast, a very little bit of the coriander. The flavor, mild and complex, all the elements in good balance. There’s an edge of sweetness, the bitterness and citrus of the orange peel, the light touch of the yeast; all in all a quality drink with a much more reasonable price tag than Angry Orchard. 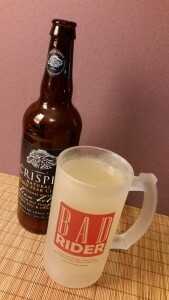 You can locate yourself some Lion Belge on Crispin’s site, and I thoroughly recommend you do so. Posted in Cider. Tagged 650 mL, crispin cider, lion belge, pear ciders. 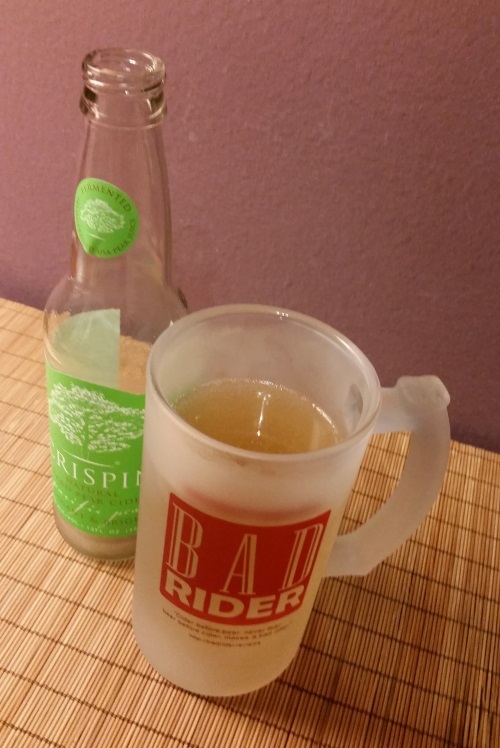 In this review I’m covering three ciders at once because I can’t tell the difference between them and I feel like it would be cheating to post the same review three separate times with only minimal changes. Okay, fine, it’s not entirely true that I can’t tell them apart at all — they’re a light, clear yellow-gold color with mild fizz, but when I hold them up to the light the Pear is slightly more yellow and the Manchurian slightly more gold. 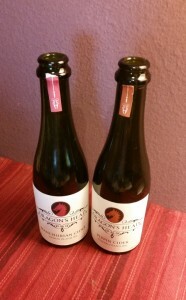 All three taste light and fairly dry but not bone-dry; the Pear’s a bit more sweet and mellow while the Manchurian has more bite, and the Pippin is slightly more tart. If it were the case that these ciders all tasted incredible I might not be bothered by the fact that they’re nearly identical; as it is, none of them are objectionable, but neither do they stand out in particular. I’ll be the first to admit here that this may all well come down to my own palate being insufficiently refined, but if I tasted one of the three at random from a glass, I wouldn’t for the life of me be able to guess which one it was. If it helps, I have high hopes that their fourth cider, the “Wild Fermented,” will stand out from the other three. I mean, it ought to, right? The Manchurian is made from (surprise!) Manchurian Crabapples, the Pear is made from (quoth the bottle) “a blend of seedling and traditional perry pears,” and the Pippin (again – surprise!) from America’s cider apple darling the Newtown Pippin. The Manchurian and Pippin are 6.9% ABV, the Pear is 6.5%. If you want to try one, I recommend the Pear, which comes in a bottle double the size of the Manchurian and Pippin at a couple dollars less than double the price. You can locate some Dragon’s Head for yourself here. Posted in Cider. Tagged dragon's head, dragon's head manchurian, dragon's head pear, dragon's head pippin, pear ciders.